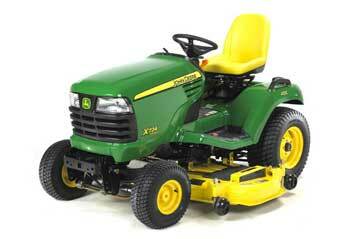 No matter how you need to service your John Deere tractor, or what part you need to replace, GreenPartStore has it all. We carry parts for a huge range of models, all of which you can find below organized by model number. Our John Deere lawn and garden tractor parts include fuel hoses, outlet kits, fuses, tire chains, wheel and suitcase weights, front blades, snow blowers, air filters, thatcher extensions, and much, much more. Start with the model number and year of your tractor and take a look, or if you already know the part number you need you can simply enter it into the Part Search Box above. If you're looking for a part that you can't find on our website, please let us know. We have thousands of parts so we definitely have what you need. Feel free to contact GreenPartStore with any questions!